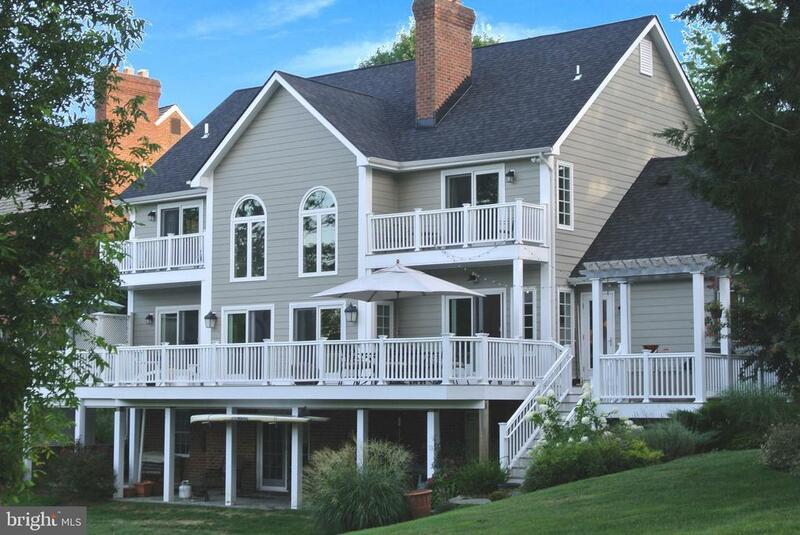 TASTEFULLY RENOVATED AND WELL APPOINTED 4 BR 4 BATH WATERFRONT BEAUTY! PROTECTED WATER FRONTAGE WITH MULTI SLIP PIER, 15, 00 LB LIFT, AND A FLOATING DOCK. OFFERING AN IDEAL ELEVATION, THIS GEM IS TUCKED AWAY IN A PROTECTED COVE, YET IS JUST MINUTES TO THE BAY. LOVELY RENOVATED GOURMET KITCHEN W/ RANGE W/ HOOD & BONUS POT FILLER. TWO STORY GREAT ROOM W/ BRICK FIREPLACE OPENS TO HUGE IPE DECK W/ RETRACTABLE AWNING OVERLOOKING A VERY TRANQUIL & PEACEFUL WATERFRONT SETTING. EXQUISITE MASTER RETREAT W/ FP & SUPER BATH W/ HEATED FLOORS. FULLY FINISHED WALK OUT LL W/ BR & FULL BATH. MAJOR RENOVATION IN 2008-2009 INCLUDED REPLACEMENT OF WINDOWS, DOORS, ROOF, HARDIPLANK SIDING, PIER & LIFTS, KITCHEN & BATHS, ETC! PRICED BELOW RECENT APPRAISAL OF $1, 450, 000. JUST MINUTES TO DOWNTOWN HISTORIC ANNAPOLIS & MAJOR COMMUTING ROUTES. JOIN THE BAY RIDGE POOL NEARBY...MEMBERSHIPS AVAILABLE. COME AND ENJOY THE LAND OF PLEASANT LIVING. SEE VIRTUAL TOUR FOR SPECIFIC DETAILS! Inclusions: Flat screen TVS in living room and MBR, floating dock, two lifts. Pool table conveys if so desired.